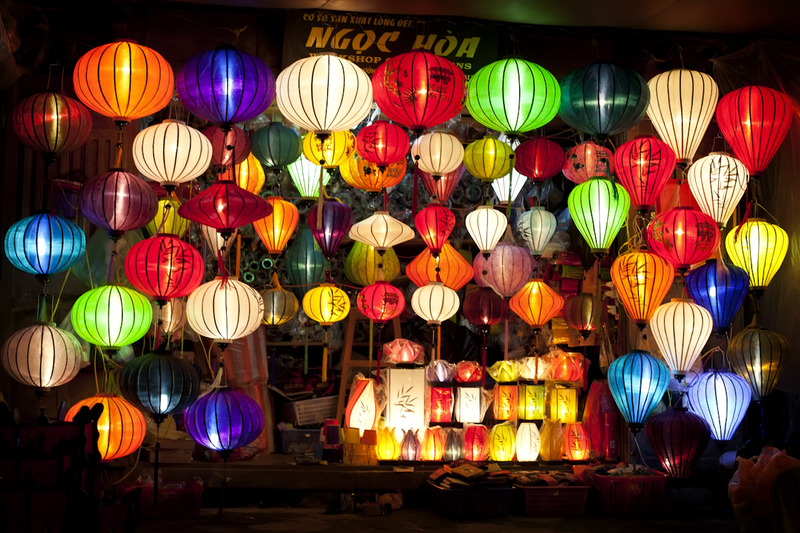 A day in Hoian – Have you got necessary information? Home / Blog / A day in Hoian – Have you got necessary information? Beautiful scenery, friendly people are the thing that remind travellers to this place. However, Hoian is not only famous for its ancient houses, Cau bridge but also for the cuisine, which are various and tasty. 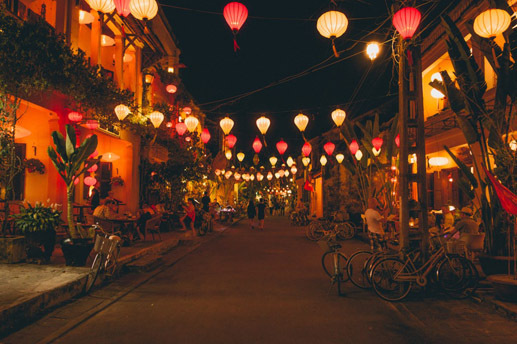 Visiting famous destinations, wandering in some souvenir shops, purchasing the traditional clothes in garment shop and enjoy the culinary of Hoian probably take several days for tourists. If you only have one day, can it be completed? With the list of top signature food, destination, you will have more suggestions in travelling and experiencing this place in one day! It is very popular for both domestic and international travelers! The first thing comes to tourist’s mind whenever they get to this place is the ancient town. It is not only the place for people gathering, participating but also the reserved place of traditional culture. Save the date 15th every month (lunar calendar) to attend the lantern festival with colorful scenery and friendly people! If Ancient town is the significant symbol of Hoian, Cau bridge is the link to connect two-side of the town. This bridge was once built by Japanese, therefore “Japan bridge” is so called. 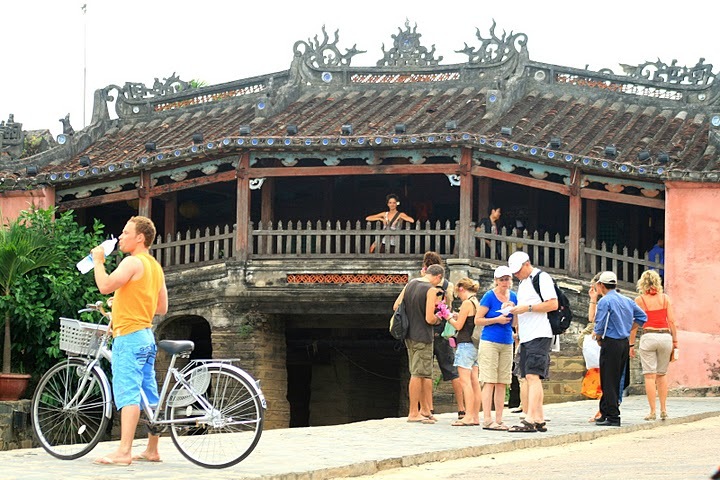 For most of tourists, when they come to Hoian without visiting Cau bridge, it means you explore nothing of this place. The bridge has unique structure, so the people from other places see it as the welcoming symbol in Hoian. You should not miss to take picture in this magnificent site! Mentioning, most of tourists will remember the unique flavor of chicken rice. 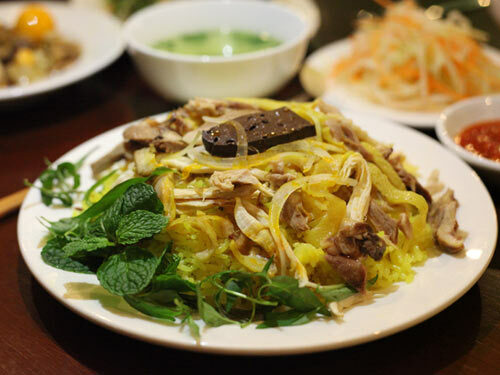 One of the famous brands is Bà Buội, featuring the fineness and quality of the dish. Tasty rice served with chicken, adding some pickled papaya and special soup, tourists will find it totally interesting! The combination of fresh ingredient and the secret cooking method, chicken rice become the memorial taste that nobody can ignore! Cao Lau is one of the specialties of Vietnam. Many foreigners are recommended it whenever they come to here. This dish is delicious, considering suitable for the taste of customer. With fresh noodles, grilled pork and other special ingredients, Cao Lau brings a rustic feature of a tranquil culture. “One of the best sandwiches in the world” – said Stauch Cameron, famous Canadian chef. Banh my Phuong is probably familiar with both domestic and foreign travelers, even those who want to experience the unique taste of Vietnam. Banh My can be seen on every corner of the street. It is suitable for everyone. 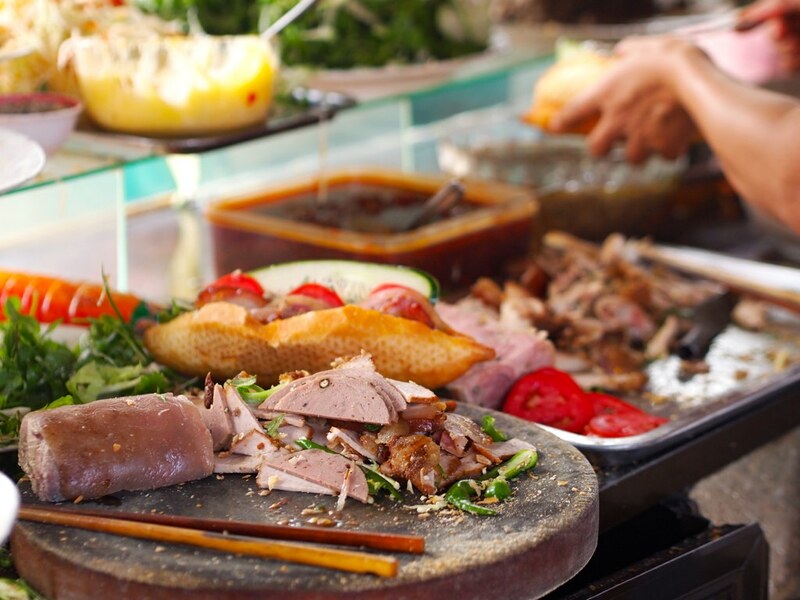 The menu of tasty dish is various with dozens of ingredients, from the typical food of Vietnam and the foreign ingredient, like ham, pate, sausage, cheese, bacon … and of course can not ignore sauces, mayonnaise with secret method. Perhaps it is the totality and diversity that make up the delicious signature for bread here. The easiest and most preferable way for all visitors without risk of traffic jam. By walking, you can experience all significant features in this tranquil town, like the lantern festival on every 15th month (lunar calendar) with various shapes and colors of lanterns. In addition, tourists can observe the real relics Ancient town, such as Cau bridge, the ancient houses. One of the suitable vehicles in Hoian is cyclo. Most of us are familiar with the cyclo-er in every corner of the street, featuring the unique scene in the city. For a beautiful day in Hoian, it will be a regret if you miss to try this.